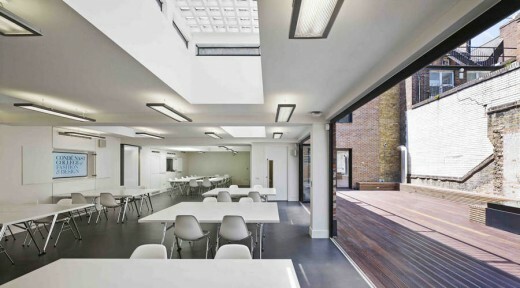 The college is based in a refurbished Georgian townhouse complex in Soho and offers an introduction to all aspects of the fashion industry, from the international fashion calendar to the retail sector, from styling and art direction to fashion journalism and PR. Business and social media are also covered. 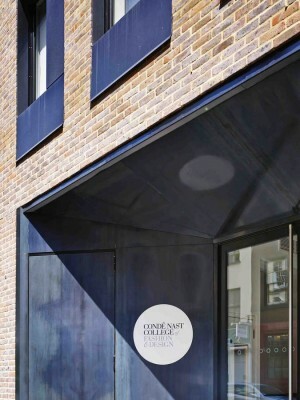 The Condé Nast College of Fashion and Design in London is designed to help students understand which aspect of the fashion industry they want to go into. 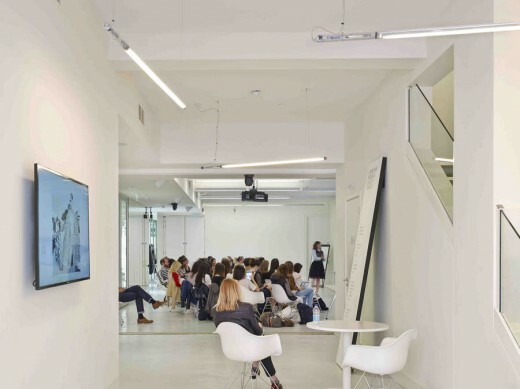 The design brief for the Condé Nast College of Fashion and Design was to create a multi-functional fashion and design school adaptable for both teaching and event hire. 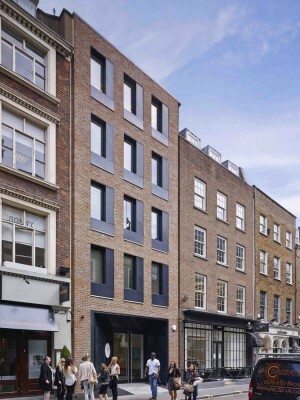 The scheme needed to convey a strong sense of the Condé Nast brand whilst fitting in with the Soho streetscape. Working with two existing inter-connected buildings FCBS have responded carefully to the rhythm and materials of the historic Georgian terrace characteristic of Greek Street and its neighbours. For the moment the college runs two courses – a ten-week and a year-long course. The first ten-week course has just ended but another one is due to start in October. 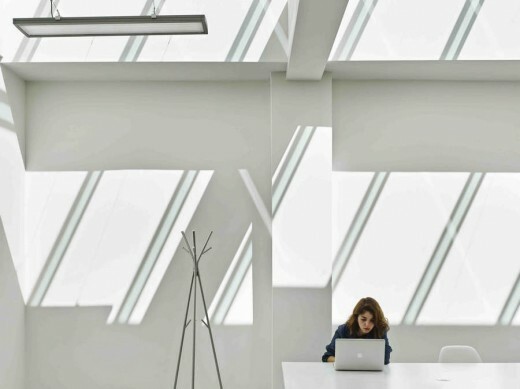 The one-year course launches for the first time in October. The students have unprecedented access to editors from the Condé Nast stable of fashion mags and to other fashion insiders and big names in the industry. The first ten-week course included sessions with Alexandra Shulman (the editor of British Vogue), the CEO of Hermes and Tommy Hilfiger, among others. At the end of the course students are encouraged to apply for internships and work experiences in magazines and with retailers. • The entrance to the building is steel plated and opens into a double-height lobby, overlooked by the gallery. 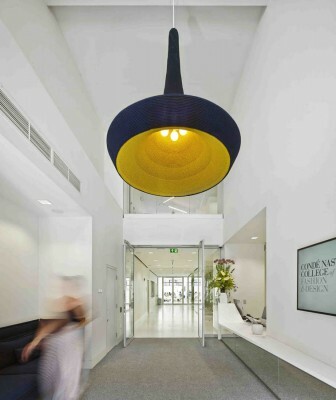 A two metre high feature light in blue crocheted fabric by Naomi Paul and a mirrored wall in the foyer both express the design raison d’être of the college and make an immediate visual impact. 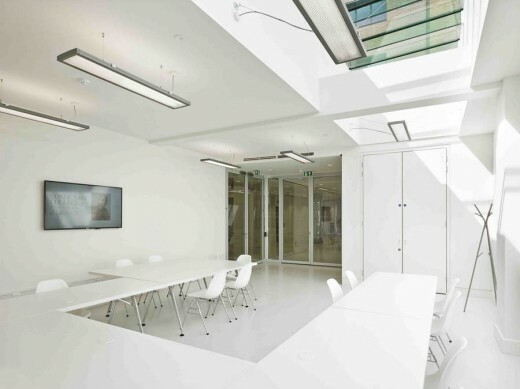 • Both client and architect chose white as the defining interior colour to maximise light through the deep plan buildings, creating a bright, timeless interior and avoiding the potential for passing fads. 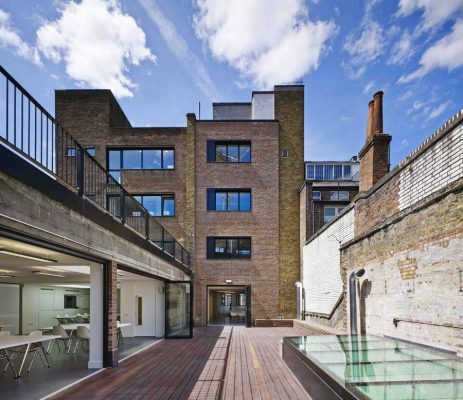 • The mixed brickwork was left exposed to emphasize the historic importance of Soho and enlargement of the facing windows has added this texture to the interior. 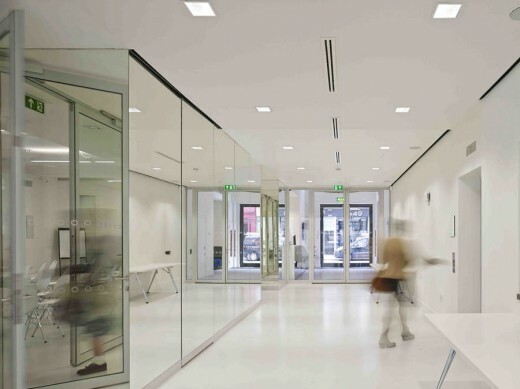 • The external areas have been remodelled with large open areas on the ground floor. There is a roof terrace at first floor level where students can work and a green roof has also been added.